Whether you are a business traveler with little time to spare, or you are seeking luxury transportation for a special event, our friendly staff is there to help you with price quotes and vehicle availability. We understand that some situations may require you to make last minute reservations or changes, and we are here for you. 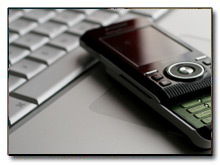 The quickest way for you to make your reservation or obtain a price quote is through our nationwide toll-free number. You can speak to a representative 24 hours a day, 365 days a year. Make sure that you mention this website to receive 10% off our regular rates! Would you like us to call you instead? Please fill out the form below with as much information as possible. One of our representatives will call you back within 24 hours with your customized price quote and to answer any questions that you may have. You can also DOWNLOAD our reservation form, fill it out, and fax it to us at 305-871-1440. At Padrino Limousine we always exceed our client's expectations! Copyright © 2016 Padrino Limousine Service, Inc.